Lamb, rosemary, and mint. The perfect combination to sail away in a zucchini boat! Yes, it is a little annoying to hollow out the boats, but I love the presentation of it and it really doesn’t take that long. 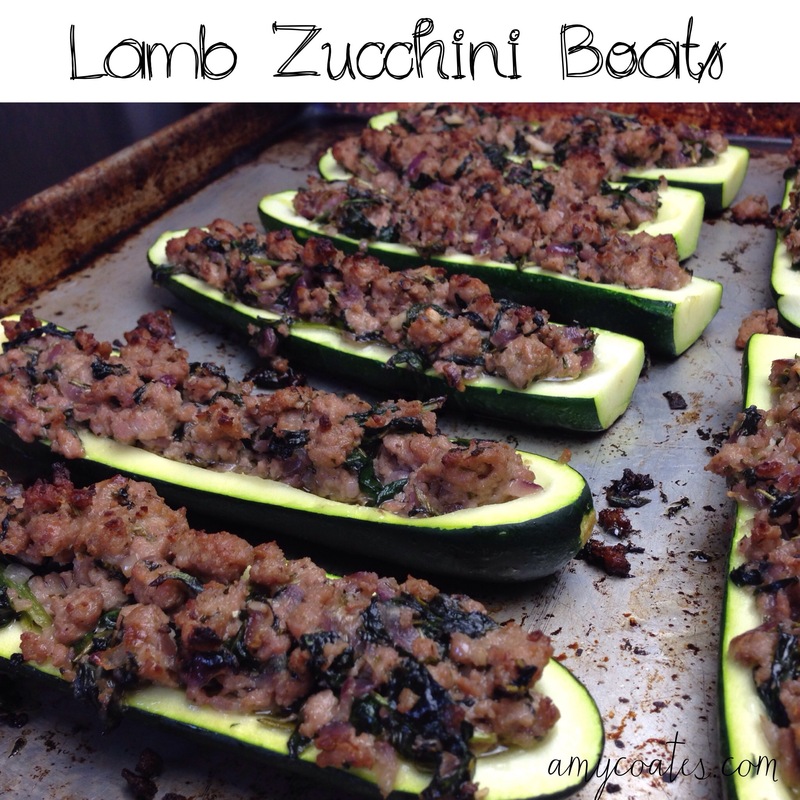 If you aren’t partial to boats you can just chop up the zucchini and add it to the pot with the lamb mixture. I won’t take it personally. Wash and cut the stalk end off of the zucchinis. Cut them in half and scoop out the flesh with a spoon. Place the zucchini on a baking tray and set aside. In a pot over low/medium heat, cook the onion until translucent. Add the garlic and cook for 2 more minutes. Add the ground lamb and cook until no longer pink. Add the mint, rosemary, lemon juice, spinach, salt and pepper, and cook until the spinach wilts. Carefully spoon the lamb mixture into the zucchini. Cook at 400 F for 20 minutes.